Looking for Oki B930 Parts? Leasing Available from $12.84 per month! Leasing Available from $19.54 per month! Leasing Available from $21.84 per month! Leasing Available from $15.05 per month! 1Require purchase of additional options (see back page for details). 2Available in the U.S. and Canada only. The B930 Series: for your large workgroups and departments that demand clear, sharp documents, fewer user interventions, and a great price. Expect enhanced workflow and lower costs from performance features that include media flexibility, expandable functionality, and high-volume endurance. The B930 Series from OKI Printing Solutions puts it all together for demanding users. It's the durable, powerful network printer for the most highly productive business environments. With 50 ppm print speed,advanced performance features and outstanding finishing options, the B930 Series is the perfect solution. Exceptional print speed and output quality- Correspondence, proposals, spreadsheets and complex graphics print quickly and smoothly with crisp, clear 1200 x 1200 dpi resolution on a wide variety of business media including tabloid (11" x 17"). 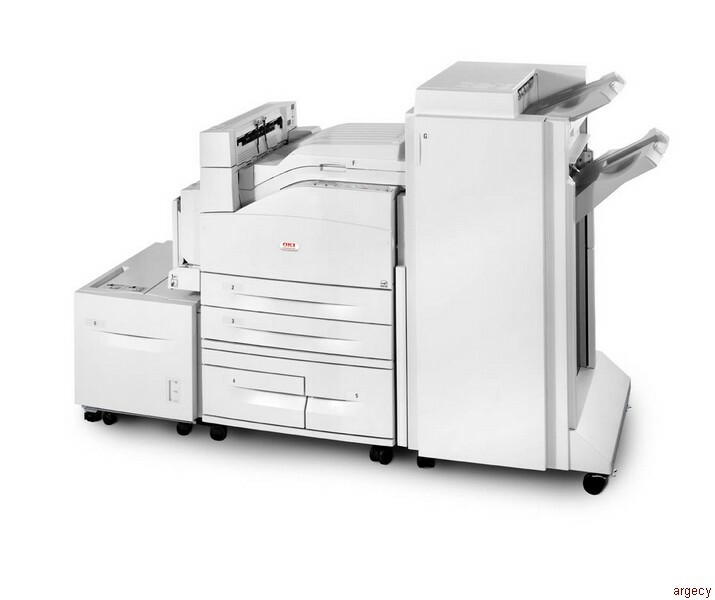 Fully loaded with paper-handling options, the B930 Series has a 5,100-sheet paper capacity- and gives you flexibility to construct practically any combination of stock that you need in a document: letterhead, spreadsheet, envelopes, card inserts... everything it takes to get the job done. What's more, its convenient finishing options- 2- and 3-hole punch, stacker and stapler- make it simple to complete your jobs in-house, without having to resort to outside vendors. Increase efficiencies, with high-speed network connectivity and rugged reliability- Network-ready out of the box, both B930 Series printers have 1000 Base-TX Ethernet connectivity, providing top data transfer rates. As for endurance, B930 Series printers boast a monthly duty cycle of 300,000 pages. Even for smaller workgroups, the savings add up quickly- and that translates directly to your bottom line. Quality, performance, efficiency and support: proof that the B930 Series from OKI Printing Solutions is the answer to your high-productivity network printing needs.